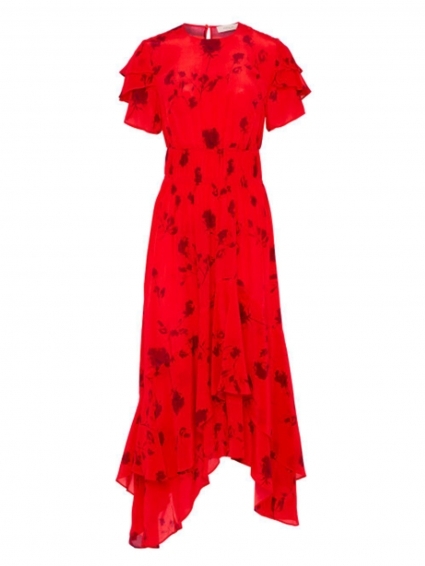 Printed in this season's red painted flower, the Esther Dress from Preen Line is crafted from georgette and crepe de chine. 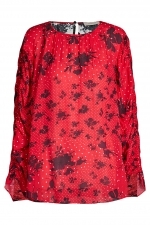 Finishing at a flattering mid-length, the dress features short-sleeves and their signature asymmetric skirt. 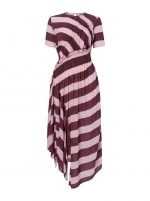 Turn around and you'll notice a contrast back of graphic red and burgundy stripes.